Our Sewing Studio Session gives you the time and dedicated sewing space to complete projects at your own pace. 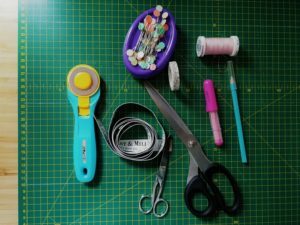 If you need some dedicated sewing time or maybe need to complete a sewing project that will be a gift, join other creative sewists on our independent sewing session. Just bring your project and enjoy the creative atmosphere with unlimited tea and biscuits. All sewist who could use with dedicated time and space for their sewing passion. Sewing machines and all accessories are provided. If you chose to use your own sewing machine you will benefit from 10% class discount. (Please let us know during booking if you decide to use your own). This is an unguided studio time only and you need to bring all materials you need to complete your project. Please note there is no tutoring available in this class. Your preferred time at the comfort of your own home (same price). 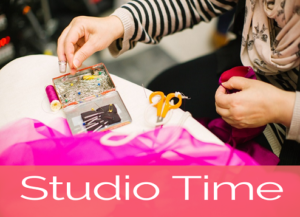 A studio only session may coincide with an active class, so you may share the room with a group of sewists attending one of our dedicated classes.